Development is widely understood and perceived as something that brings about changes for the better. But what can we make of development projects that give rise to conflict? What if development destroys the economic base of the local populace? And what if development creates divisions instead of enhancing unity? And what if this leads to serious animosities among the people, or even violent confrontation? Is such development worth it? And can we really call it development? This study will not try to provide answers to the problems arising from development. It will try to provide the context, and give perspectives on the conflict that often accompanies development projects in some communities. It will identify specific cases in which conflict has arisen, between the local people and those running the projects, between the people and the government, and between the people themselves. Historically, indigenous peoples have been oppressed and disenfranchised in the Philippines; this study, therefore, focuses on them. The first case study is of the Ifugao in north central Luzon, who have been involved in a long-running conflict with an Australian mining company, Climax-Arimco. The second case study concerns a government development plan in central Luzon run by the Clark Development Corporation (CDC). The CDC is planning to convert the ancestral lands of the Aeta people into an agro-industrial and tourism area. The third case study highlights the struggle of the indigenous Ata-Manobos in Davao del Norte province in the island of Mindanao, southern Philippines. The Ata-Manobos are opposed to a forestry project known as the Integrated Forest Management Agreement (IFMA) in their lands. The three case studies were chosen to give a geographical balance across the Philippine archipelago. Each represents the micro-situation of an indigenous community. Combined and synthesized, the three cases give a broader picture of the experiences of the indigenous peoples of the Philippines with regard to development projects and the conflicts that often arise as a consequence. In the same way, the three cases are representative of the types of development affecting the indigenous peoples of the Philippines. Development is a contested notion around the world, meaning different things to different people. Development Conflict: The Philippine Experience focuses on the impact on indigenous communities of those development projects undertaken by corporations operating within the framework of the Philippine government's national development plan. This definition of development is based on an economic liberalization model which encourages unfettered resource exploitation and is at odds with that of the indigenous peoples whose communal lands, while providing extremely rich sources of natural resources, are also sources of their livelihoods and crucial to their identities. This macro study is the second to be published by Minority Rights Group International (MRG) under the Minority Rights and Development programme. It is the outcome of over a year of background research, field research and community consultations conducted by MRG's Philippine partner organization, Kalipunan ng mga Katutubong Mamamayan ng Pilipinas (KAMP). The process of undertaking the research was challenging and demanding, which led KAMP into new areas of work but strengthened their links with their constituency. Development-related conflict is usually thought of as being related to inter-community inequalities of resource distribution. This study looks at a more complex scenario, where exploitation of the resources of indigenous communities generates conflict on a range of levels: intra-community, inter-community and between the community and the corporations. The effects are damaging and long-lasting. Corporations, as non-state actors, are difficult to call to account in international law. States are the signatories of United Nations (UN) conventions and other treaties, and, while corporations operate under the jurisdiction of national legal systems, often they escape censure due to their economic or political power, as they threaten states with relocation elsewhere or lobby to ensure that the regulatory framework is not too stringent. This situation must change. Under the Universal Declaration of Human Rights, private corporations, as organs of society, are required to promote respect for human rights and freedoms and "to secure their universal and effective recognition and observance". The recommendations of this study stipulate that governments should assume their responsibility to regulate the activities of corporations in the interests of their peoples. Genuine consultation with national minorities and indigenous peoples is advocated and a key recommendation calls for the full participation of indigenous communities in the decisions on the development projects that affect them. Together, these recommendations can work towards a significant change in indigenous communities' experience of development. The Philippines is a mountainous archipelago of approximately 30 million ha. It comprises 7,100 islands grouped into three regions: Luzon, Visayas and Mindanao. With a total population of 75 million, the country is home to around 42 indigenous peoples who make up approximately 10-12 per cent of the population. 1 Strictly speaking, all Filipinos born in the Philippines can be considered indigenous, as they all belong to a particular ethnic group, each with its traditional territory. Colonialism in the Philippines did not take the form of establishing "white settlements'" and turning the original inhabitants into minorities, as in North America. Colonization in the Philippines was carried out by a centralized politico-military government which asserted sovereignty over small communities. Some indigenous peoples were thus subjugated and turned into colonial subjects. Others, especially those who live in the mountainous areas, and those who retreated to the mountains and forest, managed to retain aspects of their pre-colonial life. These peoples regard their lands and resources as something that must be protected for future generations. This is reflected in their socio-cultural practices, in prayers and dances, in rituals and in the system of leadership and decision-making. A division thus developed between the Filipino majority and the Filipino indigenous peoples. But hundreds of years of colonial and neo-colonial rule have had an effect on the autonomous indigenous communities. Their traditional systems are slowly giving way to the influences of the dominant socio-political and economic systems. Traditionally, the indigenous peoples had a subsistence economy. Surplus was sometimes produced but there was little exchange outside the community. In general, what was produced was consumed by the producers themselves. 2 Their economic activities were hunting and gathering, fishing, upland farming (kaingin) and settled agriculture. Private ownership, especially of land, is still an alien concept to most of the indigenous peoples. Their ancestral lands and all their resources are traditionally considered community property, and the traditional leaders act as custodians. The dominant money economy has affected the indigenous peoples. The most glaring manifestation of this has been the constant expropriation of ancestral lands by the government for commercial logging, plantations and mining concessions. Dislocation brought about by these intrusions has altered or destroyed the traditional economic and social practices of the indigenous peoples. Subsistence economies have been subsumed within the larger cash economy. Survival entails production for exchange. Because of the constant alteration and destruction of their economic base, necessities such as food, clothing, medicines and even shelter are no longer freely available in the environment, but must be bought using money in the market. The traditional mode of leadership also changed as the political influence of the central government intruded into the affairs of the indigenous peoples. Administrative bodies were set up by the state to administer their affairs. Local government units ran parallel to the leadership systems of local villages. Where traditional leadership no longer existed, local government units assumed all political and even social functions within communities. What binds the indigenous peoples in solidarity with each other is their common history of oppression and disenfranchisement. Also, they share the same perspectives in the struggle for their rights over their remaining ancestral lands. The Spanish conquest of the Philippine archipelago in the early sixteenth century was completed by enforcing the Regalian Doctrine. This bestowed legality on claims to lands acquired by the Crown through conquest and subjugation. Subsequent land laws laid claim to areas where indigenous communities lived. As a consequence, the indigenous peoples became 'illegal occupants' of their own lands. When Spain ceded the Philippines to the United States of America (USA) through the Treaty of Paris in 1898, a series of laws was enacted that strengthened central government control over all the lands it had claimed. The Public Land Act of 1902 decreed that the government should issue land titles for all private landholdings. Subsequently, the government appropriated all 'untitled' lands for itself. Unaware of this, or in defiance of it, most of the indigenous communities did not register their lands. The Forest Law of 1905 resulted in the granting of logging concessions to private corporations while banning hunting and other traditional uses of forest resources. The Mining Act of 1906 granted mining permits to private entities, resulting in the further encroachment of corporate enterprises into the ancestral lands of the indigenous peoples. In 1946, independence was granted to the Philippines by the USA, but the USA ensured that it would continue to play a vital role in the political and economic life of the nation. The Tydings McDuffie Law and the Laurel-Langley Agreements compelled the Philippines to provide the USA with raw materials for its industry while opening up the Philippine market to American goods. The Mutual Defense Treaty (1951) gave the USA the right to demand troops from the Philippine Armed Forces whenever the USA goes to war. The Military Bases Agreement (1947) gave strategic areas of the Philippines as military bases for US troops. In 1991, the Philippine Senate refused to ratify the extension of US military bases in the country, but later it subscribed to the Visiting Forces Agreement (VFA; 1999) which opened ports and facilities for the use of American troops. Though political governance was now in the hands of Filipino politicians, there was little effort to steer Philippine development beyond the sphere of colonial influence. National development is prescribed by the International Monetary Fund (IMF) and the World Bank. This proved detrimental to the indigenous peoples as their ancestral lands were regarded as a resource-base, available for whatever use the government decides is appropriate. Development projects being implemented in indigenous peoples' communities tend to be extractive, while the needs of the local people - for improvement of social services and development of their cultural and economic activities - are largely ignored. To grasp the conflict in the Philippines with regard to development, it is necessary to identify the various forces at work. On the one hand, there is the government, which implements development projects that are largely controlled by private business groups: foreign corporations and their Filipino business partners who control banking and finance, extractive industries like mining and logging, infrastructural development like dam and road construction, agro-industries like plantations, foreign trading and local merchandising. These groups appear to benefit most from the whole business of 'development' in the Philippines. On the other hand, there are the forces that oppose the type of development favoured by the government and the private corporations, mainly because of the economic dislocation brought about by the implementation of such projects. These are the poor Filipino masses of landless peasants in big private agricultural landholdings, the poor settlers in upland areas, the urban poor who live in ''squatter colonies'' in towns and cities, and the indigenous peoples who are often uprooted by development projects in their lands. Some groups have resorted to armed revolution, working to overthrow the state and overhaul the whole socio-economic and political system. Those advocating this type of social transformation are the underground organizations under the National Democratic Front of the Philippines (NDFP) led by the Communist Party of the Philippines (CPP) and its armed wing, the New People's Army (NPA). Other groups work above-ground and within the legal arena. They build people's organizations of peasants, workers, urban poor, youth and students, and, to some extent, professionals and small business-people. Indigenous peoples have organized at village level and established provincial, regional and national networks. There are national and international campaigns aimed at promoting and attaining land rights. It is important to note, however, that the indigenous peoples of the Philippines are not homogeneous. They are strengthening their capability and unity around a set of common demands, but, at times, members of one indigenous group may act against the interests of other indigenous groups in exchange for monetary and material rewards. The indigenous peoples' struggle also takes a variety of forms. Some have opted to join the armed struggle, while others work within the legal framework. In the early 1900s, the Carino clan of the Ibaloi indigenous group from the Cordillera region, northern Philippines, won its land case against the US government. The US Supreme Court upheld the prior rights of the clan on the basis of its traditional ownership system. The post-Marcos 1987 Constitution also mentions the state's recognition of the indigenous peoples' ancestral domain rights. It took another ten years, however, before the government came up with an implementing law, the Republic Act 8371 or the Indigenous Peoples' Rights Act (IPRA; 1997). But although IPRA mentions the right of the indigenous peoples to 'free and prior informed consent' before commencement of any projects within their lands, it is still the government that defines the procedures, sets up the mechanics of implementation and holds the power of arbitration. A National Commission on Indigenous Peoples (NCIP) was set up in 2000, to undertake these tasks. Some indigenous peoples' communities view this as a step towards the eventual recognition f their legal rights to their ancestral lands. They have submitted applications and obtained certificates for their ancestral land claims. But these claims have yet to prove their worth in areas where claimed ancestral lands overlap with mining and logging concessions. In 1995, the Philippine Congress enacted Republic Act 7942, otherwise known as the Mining Act of 1995. Critics view this as the total liberalization of the mining industry in the Philippines. The law set up a scheme called Financial and Technical Assistance Agreements (FTAA) which grants a maximum of 81,000 ha of land for every large-scale mineral exploration. It also allows a foreign mining corporation to own a 100 per cent corporate share, gives a 25-50-year land lease and incentives such as a ten-year tax exemption, 100 per cent repatriation of profits and capital, water and timber rights over exploration areas, and easement rights that give corporations priority over infrastructure, even when this encroaches on public or private lands. In exchange, the government demands US$50 million minimum capital outlay for every large-scale mining venture. Also, a prospective mining corporation must carry out a comprehensive Environmental Impact Assessment (EIA) as one of the requirements for securing an Environmental Compliance Certificate (ECC) from the government. Both documents attest that the company will adopt environmentally and socially safe and acceptable methods of operation. Within two years, a total of 125 mining applications had been submitted to the office of the Philippine Mineral and Geosciences Bureau.3 Two applications had already been granted, one of which was the Climax-Arimco mining project which falls within the lands of the Ifugao indigenous group in the barangay (village) of Didipio, municipality of Kasibu in the province of Nueva Vizcaya, in north-central Luzon. Ifugao is the generic name used to refer to the people who live in or come from Ifugao province in the Cordillera region, in north Luzon. In the 1960s some Ifugao families moved to the villages of the adjacent province of Nueva Vizcaya, after their traditional lands were flooded by the construction of the Magat Dam. Didipio in Kasibu, Nueva Vizcaya was one such village. Traditionally, Didipio was a hunting ground for the indigenous group called Ilongots. The Ifugao settlers asked permission from some Ilongot elders to settle in Didipio and till its land. The latter agreed as they thought that they could learn something from Ifugao agricultural techniques. The Ifugaos are well known for upland agriculture and rock terracing of mountain slopes. A friendship arose between the two indigenous groups. When Arimco geologists arrived in 1989, Didipio was a thriving upland farming community. It covers more than 2,000 ha of agricultural land, forest reserves and kaingin (swidden farm) patches. More than 700 ha are used for upland and wet rice agriculture. Didipio is located in one of the peaks of Mamparang, part of the Sierra Madre mountain range, 200 km north-east of Manila. Nine sitios (smaller villages) - Dinauyan (Upper and Lower), Ancabo, Verona, Waterfalls, Dagupan, Bacbacan, Surong, Camgat and Didipio proper - make up Barangay Didipio in Kasibu, a municipality which is part of the Nueva Vizcaya province in Region 2. Climax-Arimco, a Sydney-based mining giant, began its survey of the Didipio area in 1989, following earlier explorations by Geophilippines and Cyprus Mining. In 1992, it started its research and exploration activities in Didipio Valley.4 In its 1997 Annual Report, Climax-Arimco stated that, after 'extensive exploration in the Didipio Valley [it] has located 17 gold and copper prospects, all within 4 km of the "Dinkidi" orebody'. 'Dinkidi' is a Chinese term for genuine gold. In the nineteenth century, the Australians used the term whenever they struck a real find in gold rush areas. Climax-Arimco named the small hill sitting in the middle of Didipio as its 'Dinkidi'. Its future mining operations would centre on Dinkidi Hill. The US$139 million Dinkidi mining project would mean a small open-cut mine which would require the removal of the hill. Then a large underground or 'block caving' mining operation would commence. This would require drilling to a depth of 825 m to reach the 450x200 m orebody. The company estimated its yield as 205,000 ounces of gold and 36 million pounds of copper per year for the 9-10-year operation.5 Cyanide processing would be used to extract the gold and copper. The Ifugao community of Didipio had been wary ever since they first saw foreigners surveying their lands. They would later learn that the uninvited guests were mining experts. The community began to fear a new threat of displacement. As early as 1994, Climax-Arimco had secured a Financial and Technical Assistance Agreement (FTAA) which granted them a permit over the initial 24,000 ha of land in Didipio. It was the first foreign mining company to secure such a permit. The new mining law in the Philippines was not enacted until the following year (1995). From 1992, the people of Didipio made known their opposition to Arimco's project. In the middle of 1994, a farmer shot at a company helicopter which was engaged in an aerial mapping of the area. A Canadian geologist who was aboard was killed. As a result, a company of the Philippine Army was deployed and set up camp beside Dinkidi Hill.6 The presence of the military effectively put an end to open opposition. The mining company persuaded village officials of Didipio to enter into a Memorandum of Agreement (MOA) in April 1997. This stipulated that Climax-Arimco would allocate funds for education, health programmes, road con-struction and electricity for the community. The company also promised jobs for the villagers. Some village officials said that Climax-Arimco had contributed 150,000 pesos per month (US$3,000) to the Barangay Council.7 The amount rose to 200,000 pesos (US$4,000) in succeeding years till the time this study was conducted. Renewed opposition started among the residents of Sitio Dinauyan as concerns grew that their village would be used as a catch basin for mine tailings and wastes. Others feared that their farms and crops would also be destroyed. The residents began to ask the Village Council for copies of the signed MOA, but the Council refused. This fuelled the people's anxiety. In October 1997, those who opposed the mine started a move called a 'People's Initiative.' A People's Initiative is a constitutional right of the voting constituents that seeks to invalidate a decision made by the duly elected government body, in this case, the Barangay (village) Council that had consented to the mining operations of Climax-Arimco. It involves a petition signed by the majority of the villagers asking the Commission on Elections to hold a referendum among the people as to whether they are in favour of the mining project or not. The group gathered 109 signatories and submitted this to the Commission on Elections. In November 1999, Climax-Arimco submitted a counter-petition, with 311 signatories. It is alleged by those opposed to the project that some signatories to the counter-petition were relatives and friends of the members of the Barangay Council, who had come to Didipio in the hope of sharing in the company's promised benefits. The opposing villagers asked the Regional Development Council (RDC) to intercede. The RDC is composed of over 70 governors, mayors, senior officials and non-governmental representatives from four provinces of Region 2. This government body has the authority to veto a development project in their administrative area and to modify land-use plans. On 31 October 2000, the RDC decided in favour of the opposing group. A meeting was called on 23 February 2001, where a representative of Climax-Arimco presented a revised plan. A 200-strong anti-mining group from Didipio attended and made sure that the RDC decision of October 2000 was upheld. Tension began to rise between the pro- and anti-mining groups within the 1,200-strong Ifugao indigenous community in Didipio (see Table 1 for population). Dinauyan, the village where the tailings dam will be constructed, is the village with the largest number of individuals opposed to the project. Didipio proper, the second largest anti-mining community, surrounds Dinkidi Hill, which had already been approved for open-pit and underground mining. On the other hand, Bacbacan, the village nearest to the Climax-Arimco bunkhouse and which has benefited most from the electricity being provided by the company, is where most individuals are in favour of the project. Census researcher and active anti-mining youth representative, Sonita Dingcog of Sitio Camgat, however, noted that the number of individuals in Sitio Bacbacan was incorrect. It is the smallest of the sitios and normally has the fewest people. She argued that the high population count could be traced to the migration of relatives of pro-mining families who found jobs during Climax-Arimco's peak of hiring in 1999. Subsequently, the company stopped paying the salary of the Community Centre worker, who also acted as a community relations officer for Climax-Arimco, and the monthly contributions to the Barangay Council. The pro-mining villages hold this against the anti-mining villagers. Opposition to the project both in the Philippines and elsewhere meant that Climax's share price halved in the year 2000. Finance for the project was organized by way of equity and loans from Standard Bank London Ltd, the Korean government agency Korean Resources Inc., the British government-owned Commonwealth Development Corporation and LG International, which has contracted to buy all the concentrate. But in its Directors' report for the first half year of 2000 Climax declares that 'political changes in the Philippines and the increasingly negative sentiments towards the gold price' had forced Standard Bank to downgrade the likelihood of being able to raise its commitment of US$90 million for the project unless more cash or equity for the project is secured. As of 2001, Climax had sold off other exploration assets and then issued a new Prospectus to raise a further A$4.2 million by offering one new share for each existing share at a cost of just A$0.03 per share. The management developed a new plan to mine just 2.4 million tons of ore over eight years, concentrating on a higher-grade section of the orebody. It calculates that this plan would cost just US$32.44 million, and that would provide the funds to expand the project later to the main plan for a US$139 million mine, which in turn could finance the exploitation of all the orebodies found at Didipio.9The Climax-Arimco supporters are hopeful. The anti-mining villagers stand firm. After the MBA was signed between the Republic of the Philippines and the USA in 1947, many US military bases were established. Among them were the two bases in the central Luzon area, the Clark Air Base in Tarlac and Pampanga provinces, and the US Naval Base in Subic, Zambales province. Combined, these two bases covered an area of about 65,000 ha of forest and marine environment, and were the largest US military camps outside its mainland. In 1991, the Philippine Senate refused to ratify an agreement that would extend the US presence. The US troops pulled out, a process expedited by the eruption of Mt Pinatubo volcano in Zambales in the same year. Clark Air Base traced its origin to the establishment of Fort Stutsonburg, a stable for the US cavalry's horses prior to the Second World War. This area was once a hunting ground for the Aetas who had always lived there. As the stable was converted into a high-tech military base, from 1947 onwards, the Aetas were pushed further up into the mountains and were prohibited from entering the area. Later, even their mountain retreat was declared part of Clark Air Base, as it fell within the buffer zones or Sub-zone areas. When the US troops pulled out in 1991-2, the Aetas were eager to reclaim what was rightfully theirs. Even the eruption of Mt Pinatubo did not dampen their enthusiasm. The lands within the Clark Air Base area were not destroyed and much of it is still suitable for agriculture. The land covered with thick ashfall and lahar (debris from the volcano) deposits would turn out to be very productive. But the government had other plans. After the Philippine Senate voted against the bases' extension, the control and management of the lands reverted to the government. During Corazon Aquino's presidency, the Bases Conversion Law was introduced in March 1992. This created the Bases Conversion Development Authority (BCDA) and identified the areas to be included within the Clark Special Economic Zone (CSEZ), established in 1993, during the presidency of Fidel V. Ramos. Two Executive Orders (EOs) were signed: EO No. 80, which officially created the Clark Development Corporation (CDC), and EO No. 163, which designated the areas to be covered by CSEZ. The Clark Development Corporation (CDC) was constituted as a semi-private and semi-government body, to oversee the conversion of the former Clark Air Base areas into an industrial zone. The former airfield is to become a world-class international airport with the adjacent areas becoming residential, recreational, industrial and commercial centres. CDC has paid a number of international marketing and economic research companies a total of 8 million pesos to design the development blueprint for the former Clark Air Base.10 The 4,400 ha of the former main airfield of Clark forms the so-called Main Zone for infrastructure development. The development of the adjacent areas, or Sub-zones, covering about 31,828 ha, will include agro-forestry, additional commercial and industrial estates, and tourist resorts. The Aetas' traditional economy revolved around hunting and gathering. There are six major clan-groups occupying territories in the four provinces surrounding Mt Pinatubo. On the eastern side are the communities of Abarlen Aetas, in the province of Tarlac, in the south are the Mag-Anchi and Mag-Indi of Pampanga province, to the south-west are the Ambala and Bayukan of Bataan province, and in the west are the Hambali Aetas of Zambales province. From colonial times onwards, migration from the lowlands has slowly reduced the Aetas' once vast territories. Some leaders, with the intention of establishing friendship with the lowlanders, gave up portions of their lands in exchange for items such as bolos, rifles, mirrors, cattle, tools and implements. What was left were their communities surrounding Mt Pinatubo. The six Aeta groups were forced to establish sedentary settlements along this mountain range. Mt Pinatubo played an important element in their ethnic identity. Their folklore spoke of the mountain as the abode of their spirit guardian Apu Namalyari (God Almighty). In essence, the mountain stands as their last stronghold, the central cradle for their communities who live along its ranges. When Mt Pinatubo erupted in June 1991, all the Aetas were forced to evacuate and resettled in areas allotted to them by government agencies. Those who sought refuge elsewhere were not provided with food and similar support. About 400 Aetas were resettled in Sitio Kalangitan in the town of Bamban, Tarlac. Before the eruption, these Aetas lived in Porac, Pampanga, where they survived through charcoal making, gathering wild banana sprouts and planting root crops. In Kalangitan, the local leaders reported that the school could not hold regular classes because no teacher was willing to travel the rough steep terrain. The local people often joke that, if you want to kill a water buffalo, somebody just has to take it to Kalangitan, as it will die on the way of fatigue. It is for this reason that middlemen give the Aetas such a low price for their crops. Of the declared 750 ha resettlement area, 80 ha is the private property of Coronel Farms. In addition the management and supervision of the Kalangitan Resettlement is the responsibility of the CDC, because the area falls within the Sub-zone. In 1998, the local government of Capas town passed a resolution allotting some 100 ha of Kalangitan for a landfill project. The project is called Clark Integrated Waste Management Project and is a joint undertaking of CDC and the German-based companies of Ingenieurburo Birkhan + Nolte and Heers & Brockstedt GmbH & Co. KG. The Aetas immediately registered their opposition, but CDC and its partners have continued with the project. The Aetas cannot understand why - having been displaced often but finally settled back in their original area - they should now be the hosts for others' waste. The CDC maintains that the Aetas do not have a say on the matter, because they are technically confined within the 750 ha of Kalangitan Resettlement. The small village of Burog houses about 80 Aeta families, resettled in the land they originally came from. The CDC has no programme for the Aetas of Burog. They do not have legal rights over the areas that fall directly within the CDC jurisdiction. The CDC plans to convert the whole village into fruit plantations. The only missing ingredient is the investors to put up the capital. In 1998 the Department of Environment and Natural Resources (DENR) awarded 'ancestral lands claims' of 5,000 ha to the Aetas of Burog and other adjacent villages. But the CDC reduced this to 1,500 ha, to be mapped out and identified later, after all other projects have been considered. The people of Burog are also alarmed by the influx of tourists. They view this as a prelude to the conversion of their area to a tourist attraction, and their consequent displacement. Tourists - mostly Japanese - pay 5 pesos for a local guide to show them tunnels believed to have been made by Japanese soldiers during the Second World War. The CDC plans to convert these caves and tunnels into a tourist attraction. The village of San Martin is bigger than Burog, which is close by. All those going to Burog need to go through San Martin. About 100 Aeta families live in this village. The CDC's plan to construct a tourist road to Mt Pinatubo directly affects the villagers of San Martin. Road construction has begun, and has been completed in four sitios towards San Martin. About 150 families live within these lands, which lie adjacent to the Main Zone. Expanding their traditional hunting and gathering economy, the villagers of Kalapi collect wild banana shoots and sell fruit, vegetables and souvenirs outside the duty-free building of CSEZ. The whole of Kalapi village falls within the 2,000 ha Reforestation Program of the CDC in the Sub-zone. Since the village is not a declared resettlement site, the Aetas are allowed to stay only because they have agreed to act as stewards for the planted trees in exchange for an 800 pesos (US$13) monthly wage, plus small gardens where they plant their crops. This Reforestation Program has been awarded to the Zaspi Foundation. The foundation has secured a contract to reforest the lands within the villages of Target (Main Zone), and Adwan, Kalapi and Burog (Sub-zone). Although the Aetas claim these areas, the legal papers attest to the private lease-holding of Joe Caligagan, who converted Kalapi into a cattle ranch before he sold his rights to the CDC. The Aetas of Kalapi, descendants of the very first inhabitants of the Philippines, have no lands to call their own. In 1996, the Department of Tourism (DoT) came up with a plan to convert Mt Pinatubo area into an international tourist destination. The Mt Pinatubo Tourism Plans 2000 include building roads up to the crater of Mt Pinatubo, as well as hotels, resorts and cabins for prospective tourists. As most of the communities of Pinatubo fall within the jurisdiction of the CDC, the DoT plans began to look achievable. First, all the necessary support infrastructure would be built by the CDC, while local governments would implement complementary projects. This threatens the Aetas' hope of returning to their traditional communities around Mt Pinatubo. The DoT has, as it were, closed the roads to Aetas returning to their homeland, while opening the area up for tourists. The CDC is building the spine and auxiliary roads that will help transform the Aetas' lands into an agro-industrial haven, while the Aetas are condemned to live in 'eco-tourism' villages and cramped resettlement sites. In the week of the tenth anniversary of the Mt Pinatubo eruption, about 500 Aeta leaders, women, youth and children held a week-long programme called Aeta Week (June 2001). In a declaration of unity, the Aetas pledged to reclaim, in whatever form, all their traditional lands along the Mt Pinatubo mountain range. They called for the review of the sub-zoning schemes of the CDC and the scrapping of the DoT Tourism Plan 2000. Representatives of the Aetas' six major groups formed a Council to coordinate collective efforts to reclaim their lost lands, their threatened lives and rich heritage. As a symbol of defiance to the CDC and DoT plans, the Aetas and their supporters built a symbolic barricade of rocks, signifying their determination to defend Mt Pinatubo and their communities. First, studies revealed that, if no measures were taken to save the remaining forest, the lush ecosystem of the Philippines would vanish within the next two decades. Third, the international community was offering huge sums of development aid for projects related to forest management and conservation. However, there was also pressure from the timber industry which the government felt compelled to address, primarily because timber exports had been so important for the country's economy for several decades. The government therefore introduced the Industrial Forest Management Agreement (IFMA). According to its proponents, IFMA would produce a win-win solution to the problem of forest denudation and the demands for timber. The point of IFMA is to encourage logging companies to convert their business from pure timber-cutting into commercial timber plantations. To do this, the government announced that all Timber License Agreements (TLAs, logging permits), would expire in 16 years starting from 1991, while heavily promoting the IFMA as the alternative. Since the government hoped to promote IFMA as a large-scale reforestation programme, the usual area given to TLA holders (on average 10,000 ha) could be doubled, depending on the capacity of the prospective company. However, while ostensibly discouraging further logging operations, the IFMA in effect has expanded the area of operations of the logging companies. Administrative Orders numbers 42 (1991), 60 (1993), 68 (1998) and 15 (1994) governing IFMA operations seem biased towards the business interests of the concessionaires, rather than towards environmental concerns and forest protection. IFMA allows timber production (including logging operations) even in areas where there is still forest cover. This is ostensibly done so as not to disrupt the timber production of IFMA holders during the planting season. The government plays the role of a broker between an IFMA holder and a funding agency. Thus IFMA becomes a tripartite agreement between an IFMA holder, the funding agency and the government. The funds that finance IFMAs are treated as national foreign debt, whether the project succeeds or not. Alcantara and Sons (Alsons) was one of the very first companies to apply for an IFMA permit, over 45,000 ha of land in the town of Talaingod, in the district of Kapalong, Davao del Norte, Mindanao, Southern Philippines. A company mainly involved in real estate, Alsons had no difficulty in obtaining an IFMA permit. The company is owned by the family of Paul Dominguez, the former Presidential Assistant in Mindanao for then President Fidel Ramos. Alsons' involvement in the area began in 1969. Gaudencio Manalac relinquished his logging operations to the company, to which he was heavily in debt. When its TLA expired in 1989, Alsons applied to convert its operations into an IFMA and was granted a permit over 19,000 ha. When Alsons secured 350 million pesos in funding from the Asian Development Bank (ADB), the 19,000 ha expanded to 29,000 ha, covering almost all the land area of Talaingod town. The Ata-Manobos are one of the major indigenous groups in the island of Mindanao who historically occupy its southern areas. They were traditionally a hunting and farming people. They boast a rich tradition which has survived colonial intrusion. They have a ritual for every important community event - from planting rice, to harvesting crops; from birth to burial; from marital vows to inter-tribal pacts. Private ownership was, and still is, an alien concept to them. Asserting a private claim to the things the environment freely gives is beyond the grasp of logic. For them, as for many indigenous groups, no-one has the sole right to land and the environment. It is their belief that the people are the owners of land, and since the people is an indefinite continuum, no living person has a claim to ownership over the land and its resources. The Ata-Manobos are reputed to be fierce warriors. Their typically small communities are strengthened by alliances with tribal groups. The Ata-Manobos have a strong sense of justice. Their council of leaders would discuss conflicts between villages and resolve them in ways that strengthened relationships. However, when all avenues for dialogue are exhausted and justice remains elusive, the Ata-Manobos resort to pangayao - a sacred vow to defend their village. Alsons has a standing IFMA application for all 45,000 ha of Talaingod. The company allotted 5,000 ha for a possible relocation site for those communities that might be displaced. But the Ata-Manobos in the Langilan area, included in the Talaingod municipal boundary since 1987, had no knowledge of Alsons' plan. The first the Ata-Manobos heard of Alsons' tree-planting activities was in 1991, when Mayor José Libayao called for a general meeting of all Ata-Manobo leaders, both of Talaingod and Langilan. Libayao told the Ata-Manobos that Alsons' tree-planting campaign would reforest the areas it had cut down during its logging days. He presented this as a 'payment' by the company to the indigenous peoples for their lost trees. Libayao encouraged the Ata-Manobos themselves to be part of the campaign. He said Alsons needed Ata-Manobo workers to clear the brushlands and plant the saplings. The villagers were grateful and agreed to the plan. Unknown to them, Mayor Libayao and his allies from Talaingod had already signed an agreement with Alsons, granting the company permission to include all the land within the geographical boundaries of Talaingod in its IFMA operations. This included the villages in Langilan, which are not part of the traditional Talaingod village. The first phase of Alsons' tree-planting campaign covered the area from Talaingod's main village of Sto. Nino to the village of Tibukag in Langilan. When village chief Datu Guibang Apoga, the leader of the Ata-Manobos in the Langilan area, learned of Alsons' plan he was suspicious of the company and of Mayor Libayao. But conflict arose first when the promise of wages for the Ata-Manobo workers was not kept. Alsons assured the villagers that the company would pay them once the land had been prepared. By now, the Ata-Manobo workers were deep in debt to the traders who supplied their food, at very high prices. The Ata-Manobos began to complain, especially after they learned that workers from the lowland communities were getting paid regularly. The company complained that the Ata-Manobos were not good workers and said that the company would only hire a few for regular work. Almost all the Ata-Manobos from the Langilan area were rejected. When Datu Guibang learned of this, he was angry. He felt that his decision not to allow Alsons to enter his barrio (village) was right. Later, Mayor Libayao and Alsons personnel began informing the people that they were no longer allowed to plant their crops in areas where the company had planted its seedlings. They then began to persuade the people to move to the barrio of Kabadjangan, which was the relocation site Alsons had designated for the Ata-Manobos. The people refused. They said that Kabadjangan was not fit for habitation. According to iterviews carried out by KAMP, Mayor Libayao later claimed that the people had agreed to go to Kabadjangan, and those who remained were just workers for the company. He said that the area was ready for full IFMA operations. Alsons began to bulldoze the Ata-Manobos' farmlands. Slowly, the plantation began to encroach on the Langilan area. On 30 November 1993, about 25 Ata-Manobo datus (tribal leaders) gathered on a clearing of Barangay Tibukag, in the municipality of Talaingod (Tibukag is in Langilan area but effectively became part of Talaingod when it was made a town in 1991). At dusk, the prime leader, Datu Guibang Apoga led them in the rite of pangayao. The datus made their sacred vow: they would defend their land to death, and for this, they would act as one. This was the day the Salugpungan Ta Tana Ninagkanuhon (Lumad Unity for the Defense of Ancestral Domain)13 was born. This group sought to distinguish themselves from those Lumads who supported the IFMA. The Salugpungan leaders declared a boundary, a demarcation line that would separate their villages from those who agreed to the IFMA. They maintain that their territory, which they call Langilan (river), had never been and will never be part of Talaingod. A party from the Salugpungan leaders formally presented their resolution to the datus who supported the IFMA, led by Mayor José Libayao. The pro-IFMA leaders refused the Salugpungan claim, reasserting that Talaingod should stand as one municipality. Accordingly, the Salugpungan datus had no legal right to bar IFMA implementation within the Langilan area. The Salugpungan leaders felt their rights had been ignored, and their sovereignty as a people transgressed. Nevertheless, they vowed to remain firm in their stand. The leaders decided to seek assistance from those who might understand their plight. In August 1994, about 560 Ata-Manobo individuals from the villages of Talusi, Byalong, Dulian, Mirato, Kamaka and Nasilaban, all in Langilan area, braved a trek of three days and nights into the urban centre of Davao del Norte. With the help of Solidarity Action for Indigenous Peoples (SAGIP), the Ata-Manobo evacuees camped outside Davao City Hall for almost two weeks. They became the focus of attention of the media, the Church and academia. The camp became a forum where the villagers were able to voice their concerns. A wide range of groups - lawyers, environmentalists, students and even politicians - supported the villagers' demands, among them Karpatan - Center for Peoples' Rights (Southern Mindanao); Promotion of Church Peoples' Response (PCPR); the United Churches of Christ in the Philippines (UCCP); students and advocates from the Ateneo de Davao University and sympathetic local government officials. The Davao City Mayor, Rodrigo Duterte, offered to broker a dialogue between Alsons, the Salugpungan leaders and the pro-IFMA tribal leaders headed by José Libayao of Talaingod. The dialogue resulted in a Memorandum of Agreement (MOA) which all parties vowed to observe. The central point of the MOA was that the Salugpungan datus' demand that Langilan area be excluded from the IFMA operations of Alsons should be observed and respected. However, the parties agreed that, in order to do this, the appropriate government agency should survey and map the Salugpungan territory. Although doubtful about this, the Salugpungan agreed to it. Also, under the MOA, the military were to pull out of the Ata-Manobo villages, and Alsons pledged to defer from the use of force. After the agreement was signed, the Salugpungan villagers dismantled their protest camp and the local government of Talaingod offered to take the people back to their village. But this agreement came to nothing. The IFMA operations continued to inch towards the Langilan area. No survey was conducted and no effort was made to address the issues raised by the Salugpungan during the dialogue. The warriors, headed by Datu Guibang, warned the company not to enter the Langilan territory, but received no response. After issuing a third warning, the Ata-Manobos of Langilan set off to war. Four encounters between the Langilan warriors and company personnel took place in 1997, resulting in injuries and fatalities. Mayor José Libayao and his supporters held a pangayao of their own. Subsequent conflict led to further fatalities, including three men, all members of the Salugpungan. Datu Guibang and his warriors retreated into the forest. Alsons filed criminal cases against the Salugpungan leaders. Subsequently, the court issued warrants for the arrest of the 25 Salugpungan leaders. 1. That the bottom line of genuine development for the indigenous Ata-Manobos is the recognition and respect of their right to their ancestral lands within a framework to be defined by them. Anything that falls short of this would not be easily acceptable to the indigenous peoples. 2. Serious implementation of social services that take into consideration their distinct culture and tradition. They want schools and health centres in every major settlement in Langilan. They want good roads and transport for their farm produce. They dream of having a good harvest and abundant game from the forest. They dream of having three good meals in a day. 3. They demand respect for the socio-political structures that are in place within the Ata-Manobo communities. They demand that their decisions should be respected by all the groups concerned, especially the government. They demand that a system must be instituted to ensure their genuine and legitimate participation in decision-making that affects their being as a people. Two weeks after we had conducted the community workshop, KAMP has learned that the military is making a cordon of the areas they suspect as the camp of Datu Guibang and his men. Alsons appears to be trying to gain control of the logging activities taking place currently within Talaingod. Cases of human rights violations committed by the military in this new show of force are now being documented by SAGIP and human rights groups based in Davao City. 1. A framework of development is being used which, in the long run, will be to the disadvantage of minorities in particular as well as Filipinos in general. The model of development implemented by successive Philippine governments favours the liberalized extraction of resources and raw materials by foreign corporations. In this regard, the ancestral lands of the national minorities instantaneously become Public Lands. The minorities' land rights are thus subsumed under governmental authority. These lands serve as the main resource base for the liberalized extraction and exploitation by foreign businesses. The incentives being granted to foreign investors outweigh the possible gains to the nation from these projects. This development framework does not respect the national minorities' prior rights to the lands they have always occupied. 2. The development projects recognize only the economic interests of the corporations involved in them and not the welfare of the host communities. In the three case studies presented, the proponents did not seriously consider and include in their programmes the immediate and long-term welfare of the communities affected by the projects. The communities were not treated as equal stakeholders. Rather, the proponents view the communities as a source of cheap labour for the projects. 3. The government has surrendered its responsibility for social welfare to the corporate proponents of the projects. The project proponents promise social services to the local populace in exchange for their approval for the project, but delivering basic social services is a primary responsibility of the government. Proponents who plan to build roads, schools and hospitals expect to get a great deal in return. 4. The communities could not relate to the industrial and agro-business orientation of the development projects being implemented in their lands. The minorities want development based on their actual needs and situations. Mining, agro-plantations, eco-tourism and forest plantations are remote from the needs of the people for livelihoods and services. 5. The development projects are backed up by legal instruments that essentially disenfranchise the indigenous populace. The indigenous peoples have no legal instrument to back up their land claims over areas declared government lands. In addition, opposition to projects in these areas is considered anti-government activity. 6. The military is used to coerce the community. If the approach of promising economic incentives and social services for the people fails, force is resorted to. Military organizations or individuals close to the military have links with the corporations.17 In the past, military presence in an area was explained as counter-insurgency operations. Currently, the government has a policy of organizing Special Civilian Armed Auxiliary (SCAA) units, which have the task of providing security for development projects in declared 'hot spots'. This is being done in Aeta areas in Central Luzon, where SCAA and Civilian Armed Force Geographical Unit (CAFGU) recruitment is rising among the Aetas. Some young Ifugaos in Nueva Vizcaya, where Climax-Arimco operates, are currently being trained for SCAA service. 7. The project proponents use some sections of the community against their own kin or tribe. This brings further division to the already diversified communities of national minorities. In some cases, traditional leaders or those who hold local government positions receive financial benefits provided they pledge support to the project.18 In other cases, Cooperatives and Foundations are organized to speak up for the corporation. This intensifies conflict among the local people instead of enhancing their unity and development. The present orientation of 'development projects' being introduced in communities of national minorities will always tend to breed conflict, if not directly between the project proponents and the communities, then between the local people themselves. The three case studies are tales of large-scale, capital-intensive, development endeavours that seek to exploit the peoples' main economic base. The present development blueprint of the government, which speaks of privatization, liberalization and deregulation of vital industries, supports this orientation and framework. On the ground, the affected people simply could not relate to the prospects of development of these projects. If the indigenous peoples had a legal basis for their land claims, they would not be expected to keep quiet and concede to the threat of destruction these 'development projects' pose to their lands and livelihood. The design and framework of the development projects puts a premium on the exploitation and extraction of resources. The affected populace are seen as expendable, and are not considered during planning and implementation. Their issues and concerns are not properly assessed and addressed. The national minorities have a long history of struggle against oppression and colonization; their legitimate concerns over land rights, self-determination and integrity must be addressed in a comprehensive manner. Attempts to deal with these issues in relation to each major project would not solve the issue, but simply fuel an endless cycle of conflict. 1. The government of the Philippines should recognize the rights of national minorities and indigenous peoples to their traditional lands and natural resources. Environmental and forestry laws and policies should be revised in accordance with the rights of indigenous peoples, and to promote community-based natural resource management. Legislation should be revised to provide scope for the exercise of customary law, subject to respect for international human rights principles. The government must review its policies regarding the 'Public Lands' and institute a legal framework that recognizes national minorities' and indigenous peoples' rights to their ancestral lands. There is concern that the present Indigenous Peoples' Rights Act (RA 8371) falls short of its objectives of land rights recognition. Ancestral land rights recognition must be people-specific and land-specific. A mode of definition of ancestral lands, their use and management, and all other aspects must be agreed by the indigenous group concerned. 2. 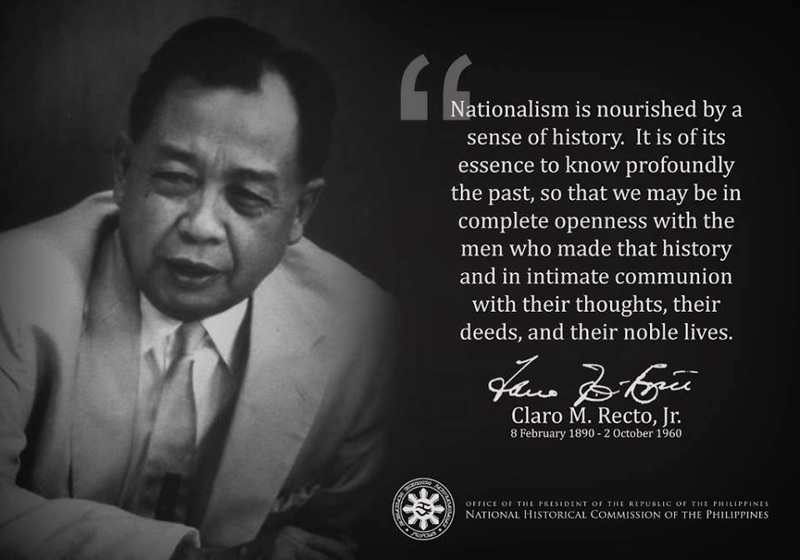 The government of the Philippines must recognize that national minorities and indigenous peoples have the right to free, prior and informed consent to any development initiatives that affect them, and should support the rights of minority and indigenous communities to set their own pace and priorities for development in accordance with their own concepts of development. The government and development agencies should ensure indigenous peoples' and minorities' right to participation in the formulation, implementation and evaluation of country strategies, development plans and programmes that may affect them. This participation must be comprehensive and transparent through all stages of the project cycle. There should be a moratorium on development projects in claimed ancestral lands until the issues of land rights have been settled. The government should consider repealing the Forestry Code and the Mining Act of 1995. 3. The government of the Philippines is urged to conduct independent investigations and, if warranted, prosecutions of those in the armed forces and the security sector accused of human rights violations. The government should investigate the role of the military in the recruitment of paramilitary forces among the villagers in areas affected by development projects. 4. National and local authorities should ensure that culturally and linguistically appropriate health, education and other social services are available to national minorities and indigenous peoples. In addition, economic development plans need to be drawn up to boost the rural economy. Equal consideration should be given to the needs of women, older people, persons with disabilities and children within national minority and indigenous groups. 5. The government of the Philippines is urged to ensure that corporations comply with human rights laws and with inter-national standards on the rights of national minorities and indigenous peoples. Corporations should establish appropriate consultation and complaints procedures. In addition to Environmental Impact Assessments, national and transnational corporations should also look at the social and cultural impact before undertaking projects. This process should include genuine consultation with national minorities and indigenous peoples. 1 KAMP, Primer on the Indigenous Peoples of the Philippines, Quezon City, Philippines, Kalipunan ng mga Katutubong Mamamayan ng Pilipinas (KAMP), 1998. 2 Constantino, Renato, A Past Revisited, Quezon City, Philippines, Foundation for Nationalist Studies, 1975. 3 Center for Environmental Concerns, Liberalization of the Philippine Mining Industry, A Road to Industrial Development?, Quezon City, Philippines, Center for Environmental Concerns, 1997. 4 Australian Philippines Solidarity Movement Inc., A Word of Warning: Australian Mining Corporations and the Philippines Environment, Quezon City, Philippines, Australian Philippines Solidarity Movement Inc.
5 2000 Annual Report, Climax Mining. 6 Mining Monitor, July 2001.5.www.mpi.org.au. 7 KAMP Research Team interview with members of the Council. 8 KAMP Research Team interview with villagers, and visit to Didipio. 9 Peter Murphy (of the Philippines-Australian Solidarity Network Inc.), fact-finding mission to Isabela and Nueva Vizcaya, 2001. 10 Clark Special Economic Zone, Master Plan and Business Plan, prepared by TBV Aviation; Skidmore Owings & Merrill LLP; TCG Engineers; Davis Langdon and Seah; Economic Research Associates; Cuervo Far East & Richard Ellis; Joaquin Cunanan & Price Waterhouse; C.L. Rosales & Partners; J.B.Z. Dorius; Lifescapes International. 11 Philippines, CDRC, June 1992. 12 The account that follows is based on field work and interviews carried out by KAMP in 2001. The events took place between 1991, when Alsons first started planting trees in the area, to 1994. 13 'Lumads' ('natives') is the term used to refer to the indigenous peoples in Mindanao; Ata-Manobos is the term used by the people of Talaingod to refer to themselves. 14 Solidarity Action Group for the Indigenous Peoples (SAGIP) Land under Siege, Davao City, SAGIP, December 1994. 15 Interview by KAMP researchers with Henry Tutol, former Operations Chief of Alsons, on 6 March 2001. 16 This meeting took place on 25-8 April 2001 at Iba, Zambales, the Philippines. 17 For example, the presence of the 64th Infantry Battalion in Talaingod and Langilan; and, formerly, Mayor José Libayao was Alsons' chief operations officer. 18 For example, the payments by Climax-Arimco to the Barangay Council of Didipio. Source: KAMP Research Team Interviews have the right to free, prior and informed consent to any development initiatives that affect them, and should support the rights of minority and indigenous communities to set their own pace and priorities for development in accordance with their own concepts of development.